Many small businesses are mobile, and as such, require instant access to data such as financial information. Moreover, business owners need the ability to work wherever they are. With mobile technology such as accounting apps, most mobile businesses, field employees, managers, and business owners can research, update, and validate financial data at any time and from any place. 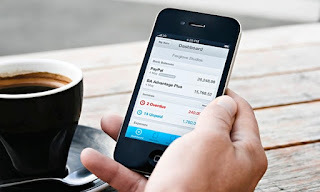 In this article, we list a few of the options available that help turn your mobile device into your personal accountant. Expensify is a bookkeeper. It allows you to gather data, such as receipts and expenditures, add notes to your data, and then send it to admin for approval. The app even offers seamless integration between smart devices such as the Nokia Lumina and an office setting. The Windows phones are designed to be app friendly just like the Windows operating system. Easily control costs, manage tax preparation, and keep track of all of your business's accounting with Expensify, so that you can keep focused on running your business wherever you are. Available for iOS, Windows, and Android. Are you ready to take control of your bookkeeping? Cost: Free or Subscription. Mint is a big-picture app that allows users to see all of their financial information in one place. The app allows you to track financial data, set goals, manage expenses, and even helps you create a budget. The large screen features on smartphones like the Lumina give you plenty of pixels to clearly see the complete budget. This app allows you to set alerts, identify trends, and receive free financial tips based on your account. You can organize cash flow for bills, create comprehensive budgets with ease, or set financial goals that you can track. Mint gives you the power to oversee cash flow, make informed decisions about finances, and it is easy to use. And the cost is hard to beat: it's free. Available for iOs, Windows, and Android. With this app and a mobile device card reader, you can accept payments from customers anywhere you have coverage. This makes it easy to improve your mobile business platform. Can you increase sales by going mobile? This app is good for businesses of all sizes, but especially for small mobile companies that sell directly to the public. Expand your opportunities by expanding your payment options. Cost: Merchant fees of 2.75 percent. Funds deposit into your account the next day. These three apps represent some of the important needs of mobile businesses. With the next generation of smart devices these apps become powerful tools. The Nokia Lumina will upgrade to Windows 10, making your current Lumina operating system scalable. Not all Windows phones will receive the upgrade. The greatest gain for small businesses is technology that works to support your business. With apps like Mint and Expensify, you can take care of every transaction wherever you might be.